Platformer with the titular hero at the helm! Who doesn't love Mickey Mouse?! Come on, anyone?! Well, Mickey is one of the most celebrated and immediately recognizable cartoon characters ever, and even if lately there hasn't really been a lot of cartoons to celebrate him, at least the games of yesteryear can be a good replacement for those that miss him. 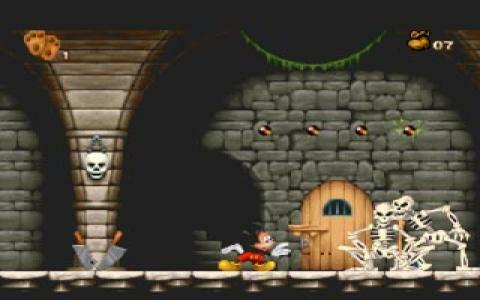 Thus, Mickey Mania is one of those games that puts you in control of character with the sole purpose of fiddling about in each level, with not too much difficulty, not too much pressure and also, without the expectation to challenge the genre or to take it further. 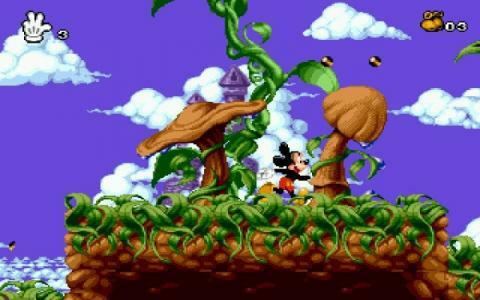 But, nevertheless, Mickey Mania is a very fun platformer, best for kids and adults alike. In it you will meet some other famous Mickey Mouse characters, which adds a layer of nostalgia appeasing value to it. Along with Alladin, Asterix and Obelix as well as Pocahontas, Mickey Mania feel like one fo these game that never are too hard to get into, but are always enjoyable to play, due to their nice level design and very well put together controls.